Check out our virtual reality options. These are perfect for more hands on learning and exploring! For more information, please see our resources page. Google Cardboard turns a smartphone into virtual reality goggles. Useful for learning the foundations of virtual reality, the simplicity of Google Cardboard makes it possible for everyone to enjoy, no matter their tech skills. 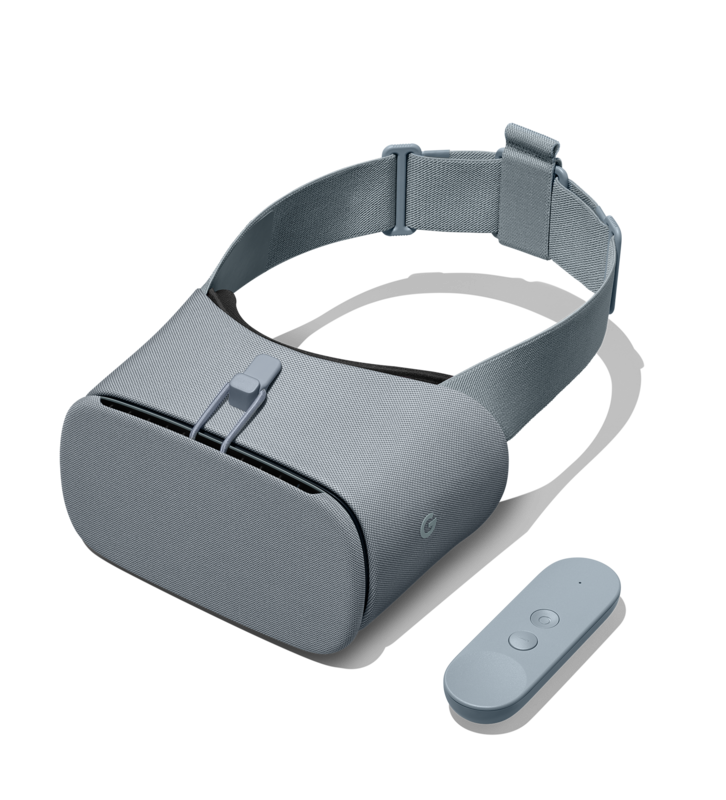 The Google Daydream takes your experience to the next level by adding a remote and enhanced graphics. Learn about everything from the space program to other cultures. Google Cardboard allows the user to explore the moon or Paris right from the comfort of home, simply by downloading an app. Check out all of the possibilities of Google Cardboard. Google Cardboard is available at the Tech Desk and in the Game Development Room. Google Daydream is available in the Game Development Room. HTC Vive is a virtual reality system that uses a combination of visual immersion with input from your surroundings. Equipped with two handheld controllers and two room sensors, the Vive maps the room that you are playing in and adapts the gaming environment to coincide with those parameters. Assisted by top notch graphics, do everything from learn survival and engineering skills to creating 3D artwork in real time. The HTC Vive is a comprehensive, exciting way to experience virtual reality! Interested in developing for the Vive? The Game Development Room is equipped with Unity in order to create your own games. Stop by the Inspire Maker Lab or check out some of these resources to get started! The HTC Vive Pro is available in the Game Development Room on the Lower Level of the Belk Library. The Microsoft Hololens is an augmented reality device that combines the surroundings of the user with holographic content. The Hololens scans the room you are in and then uses that information to interact with graphics from the apps. Created as a stand alone headset, the Hololens has a built in app store which features the original developer applications. While currently in development, the Hololens is already showing its potential for impact on the real world, from construction apps to an app that allows the recreation of a crime scene. The Hololens’ augmented reality is the perfect way to apply real life elements to our surroundings. Learn about holograms and how use them to develop for mixed reality. The Microsoft Hololens is available in the Game Development Room on the Lower Level. 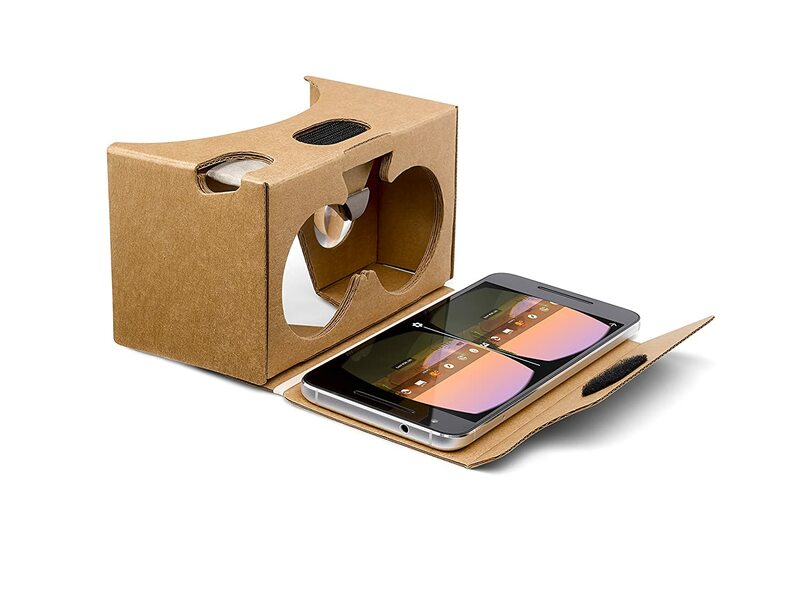 Created for Google Cardboard, this app is a great way to orient users to using VR on their smartphones. In addition to the cornerstone "Google Cardboard" app, there are plenty of other free apps that will work, through all app stores. A VR 360 degree video app, Within opens up the opportunities for users to explore different virtual reality environments and works across multiple platforms. Within is available through STEAM, app stores, and as a web experience. Oculus Go is a VR system built for complete immersion. A self contained headset, users can explore everything from the ocean to an art museum all the way across the world with the Oculus Go. This headset has a built in screen and many apps available. Simply log into a free Oculus account and connect your wifi using the Oculus app on your phone. Then explore the apps available. Explore space, walk with dinosaurs, watch your favorite streaming service and play games. Check it out from the Tech Desk starting in Fall 2018. Explore what the creators have to say about Oculus Rift. Learn more about the HTC Vive.